If it wasn’t obvious enough in the recently published IR35 Forum Minutes that HMRC simply do not understand the true impact of reform to the legislation, an article by Jim Harra, HMRC’s tax assurance commissioner and director-general for customer strategy and tax design, made it crystal clear, writes Seb Maley, the chief executive of Qdos Contractor. It’s difficult to know where to start with Mr Harra’s article. But the title seems a good place. ‘New IR35 rules are making tax fairer for everyone’, underpins everything wrong with HMRC’s naïve and blinkered approach to dealing with IR35 reform. Irrespective of your stance on IR35, this is fundamentally incorrect. In the public sector, the contractor has no liability. It lies with the client or agency. That a HMRC expert himself does not understand the very legislation he’s helped design simply reinforces the irony of his misinformed comments. But this really isn’t a laughing matter. In other words, it’s not our fault, it’s yours. He fails to highlight the complexity, ambiguity and failings of the IR35 legislation, which is the root of the problem. But should we really be surprised? We simply disagree with Mr Harra’s claim that 9 in 10 public sector contractors were incorrectly operating outside IR35 before the reform was introduced. If anything, shifting the responsibility from the contractor to the public sector engager initially resulted in a greater number of inaccuracies, as many engagers made blanket inside IR35 decisions to protect their own liability -- a part of the legislation which Mr Harra conveys he doesn’t understand. A rise in the number of public sector contractors working inside IR35 does not necessarily signal greater compliance. As well as making blanket rulings which lump entire contract workforces inside IR35, numerous public sector engagers have simply got it wrong. Some have placed their workers inside IR35 as an honest, genuine mistake; others because it is quite simply the path of least resistance. Freshly published APSCo research backs this up. Some 51% of recruiters aren’t convinced their public sector clients have access to the tools and expertise needed to make well-informed IR35 assessments. Quick turnarounds matter. But accuracy must be prioritised over speed. These are career-defining decisions carrying thousands of pounds in liability. CEST leaves a lot to be desired. Built on-the-go, it’s been tweaked several times. How can a determination made in April be accurate today, in October? CEST is a ‘solution’ built by the gatekeeper. 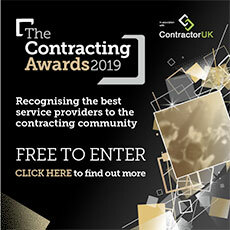 “Importantly for employers, CEST is the only tool that HMRC recognises.” This claim by Mr Harra is simply a red herring which just goes to show the extent of the problem the contractor industry is facing here. In reality, a result given by CEST would be subject to the same level of scrutiny as any other method of collecting evidence and determining status. There is no way HMRC or a tribunal judge, would accept the binary answers of CEST at face value. Again, APSCo research suggests otherwise. Exactly 70% of recruiters revealed that contract placements in the public sector have dropped since the IR35 changes. Meanwhile, Hays and Parity have each said that the reforms adversely affected their financial performance, and Harvey Nash has described the reforms as having caused “disruption”. Oh, and the body that runs London’s vast transport network, TfL, says it has lost a significant number of contractors due to the reforms. So much so that it’s had to delay a flagship project. Unfortunately, Mr Harra’s article is the latest proof that HMRC simply doesn’t grasp the true impact of IR35 reform. Either that or they’d prefer to stick their head in the sand and simply ignore the chaos they’ve created. Lastly, it’s hard to ignore the irony in Mr Harra’s grand finale. Contractors and others who stand to lose out financially, he accuses, have “spread a great deal of misinformation” about the consequences of the reform.